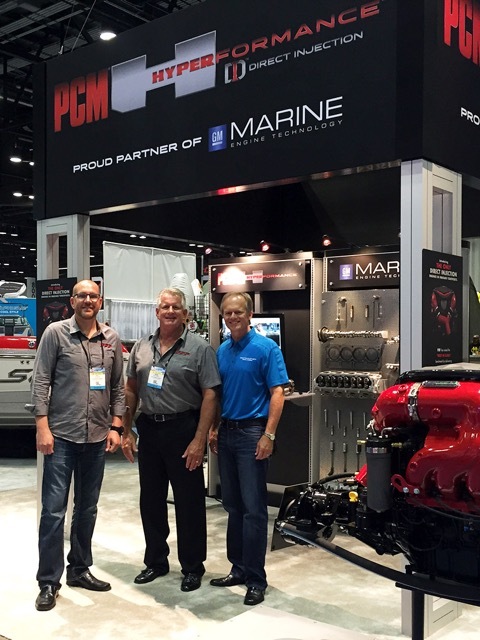 ORLANDO, FL (September 10, 2015) - Pleasurecraft Marine Engine Company (PCM) has announced the introduction of an entirely new portfolio of watersports engines featuring Direct Injection technology. The only manufacturer in the inboard watersports market offering Direct Injection and the exclusive performance benefits of this technology, PCM has taken standard and high-output watersports performance to a new level, unmatched in the industry. These new HYPERFORMANCE engines were officially revealed today at the 2015 Surf Expo tradeshow in Orlando, FL. PCMs HYPERFORMANCE H5DI and H6DI models offer new industry leading horsepower and torque, creating outstanding performance, and are the most fuel efficient engines in their class. In addition to Direct Injection, exclusive features found in the H5DI and H6DI include a second generation of the industry leading Catanium Clean Emission System, a custom tuned intake manifold, and high quality all-aluminum construction of the engine block, heads, intake, and exhaust systems. PCM HYPERFORMANCE engines utilize an open loop cooling system - the most reliable and maintenance free cooling system in the marine industry. This new line of HYPERFORMANCE engines continue to provide the same exclusive features made famous by its earlier generation engines including Adjust-A-Flex Mounting, a patented Fuel Control System with dual fuel pumps and 10 micron fuel filters, as well as PCMs revolutionary Power Plus Performance ratio transmissions. Mark McKinney, PCM Vice President stated, We are happy to once again raise the bar for standard and high-output inboard watersports engines through the introduction of our new HYPERFORMANCE models, the only direct injection engines offered in the inboard market. Our goal was to design new engines with innovative technology to deliver best-in-class performance and fuel efficiency, while continuing to deliver the outstanding durability available only through PCM. These new HYPERFORMANCE engines not only meet, but far exceed our original goal, added McKinney. Pleasurecraft Marine Engine Company (PCM), a subsidiary of Correct Craft, designs and manufactures innovative inboard engines specifically for watersports, from its headquarters in Little Mountain, South Carolina. For forty years PCM has led the industry in customer satisfaction by providing the highest quality product backed with exceptional service. 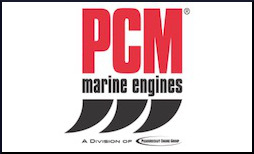 For more information on PCMs full portfolio of engines visit www.pcmengines.com.